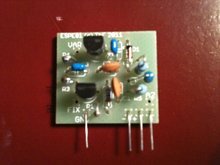 nl: De Etherwave PLUS theremin kan er ook anders uitzien dan al die andere. Kies zelf kleur, afgeronde hoeken, voorgeïnstalleerde module en rechts- of linkshandig. 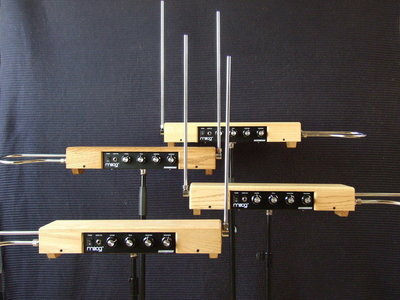 en: The Etherwave PLUS theremin can look different from all the others. Choices are color, rounded edges and pre-installed module. You can even get it made left-handed. They are made on request, so delivery times may vary. Please note: because of high demand, there is a waiting time of 2-4 months. Some electronic parts are on back order. Please do order, and parts will be reserved for you. : 3-8 weeks until ready to ship, depending on configuration. Shipping time 3-12 working days, depending on location.